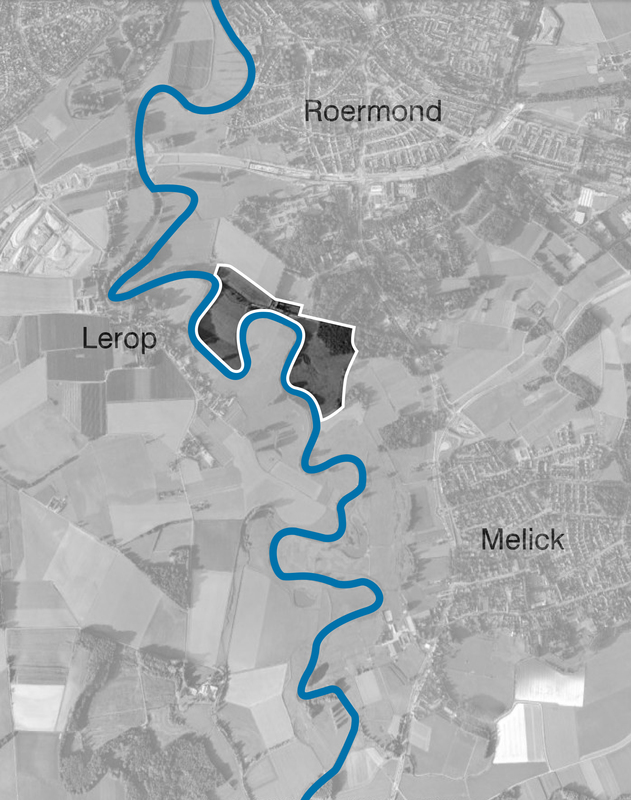 The river Roer (Roermond, the Netherlands) has been of great importance to the inhabitants of its valley since the Roman empire. However, anno 2013, the Roer is not only beloved, but also known for its moody character. Due to the increase of precipitation in winter and the decrease of precipitation in summer, the rain river increasingly causes floods (figure 1) and water shortage (figure 2). As a consequence , homes in the valley are endangered by heavy rainfall upstream and the local prices of vegetables rise, as sections of the farmland due to water insufficiency. 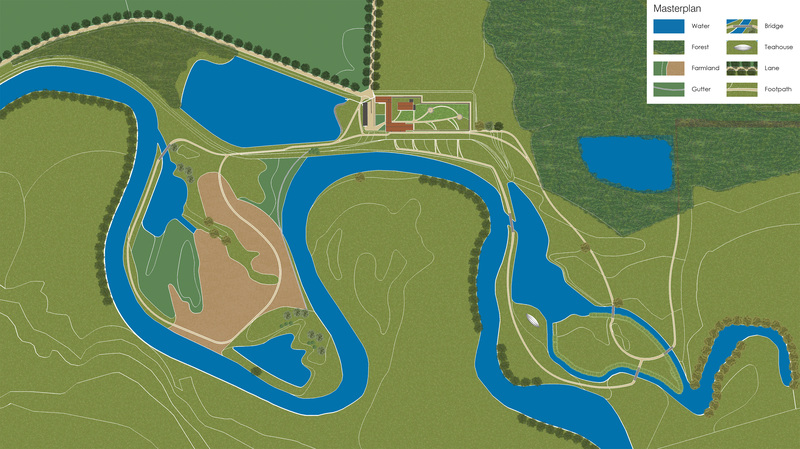 Foundation Holtveld, the client, wanted to develop a self-sufficient social cohesive estate in the Roer valley (figure 3), according to the regulations of the ‘Natuurschoonwet’ and the principles of permaculture. 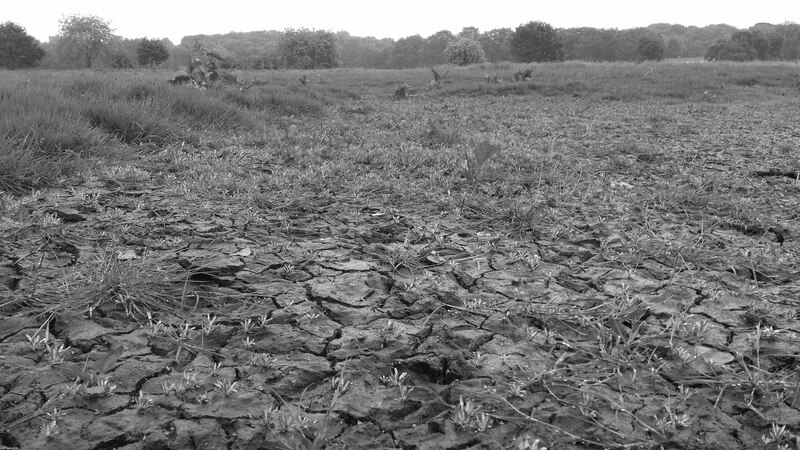 To be of importance to the environment, the estate needs to decrease water shortage in summer and the danger of flooding in winter. At the same time the functions of the Dutch estate have to be created: dwelling, agriculture, (public) leisure and nature development. 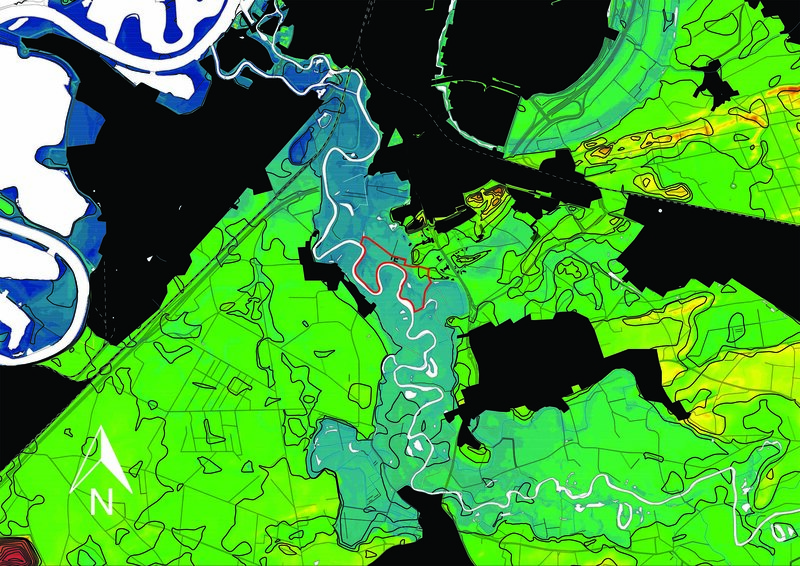 In the design rain- and grey water are used as inputs to produce the functions of the Dutch estate by producing a diversity in water conditions via the natural elevation of the Roer valley (figures 4-6). In its construction, the design answers the flooding danger and the water shortage at the same time and reaches out to the nearby secondary school. 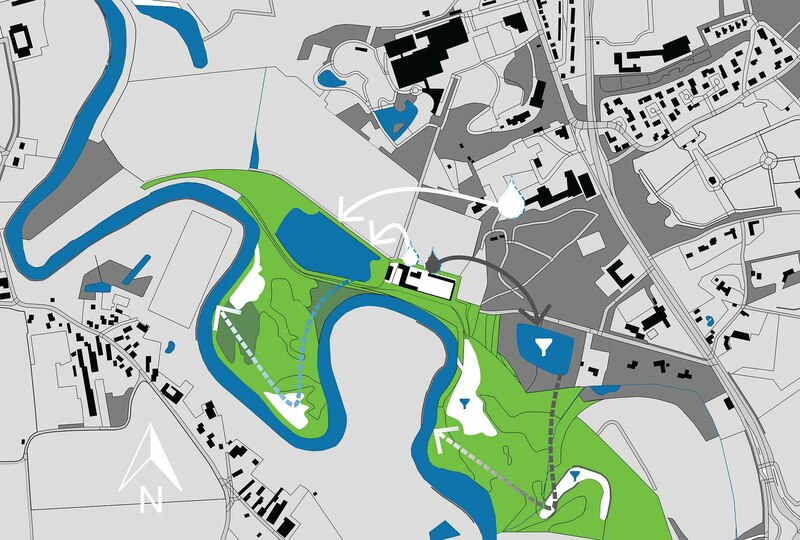 The estate (figure 7) consists of three parts: the left wing, the right wing and the residential center, which connects both wings. 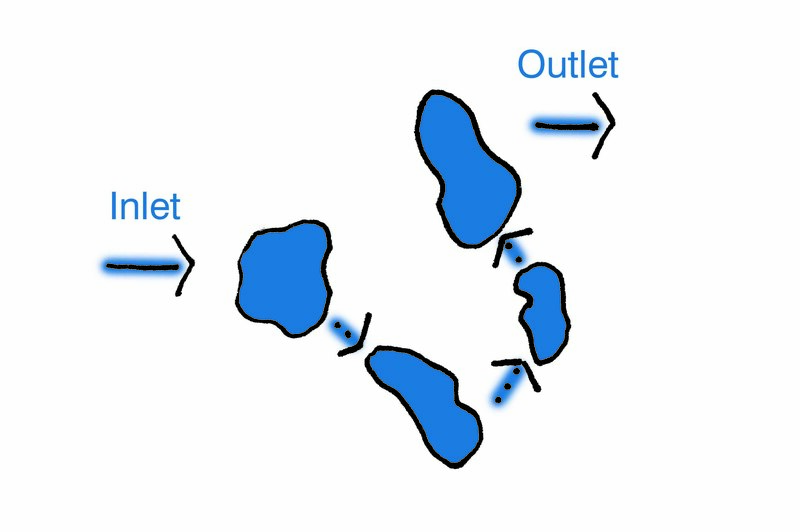 The left wing of the estate collects rainwater, which is gradually eutrophicated through the soil (figure 6) via two in-between ponds (figure 8) before it is released into the Roer. 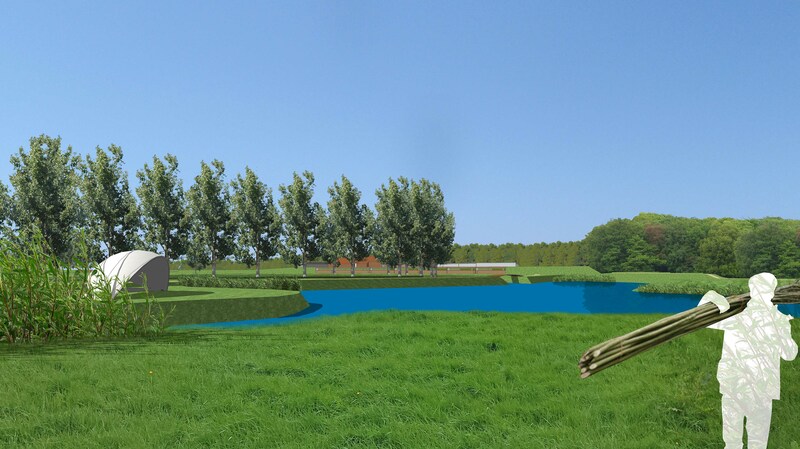 The construction of the rainwater-collection-pond gives the opportunity to safeguard the historic farmhouse at the same time. The right wing collects grey water, which is gradually purified through willows and reed via two in-between ponds before it is safely released into the Roer (figure 9). The different ponds with different water conditions give the estate many different functions for itself and its surroundings (figure 10). The residential center (figure 11-13) of the estate is the starting point of the rain- and grey water, which go through the machine. 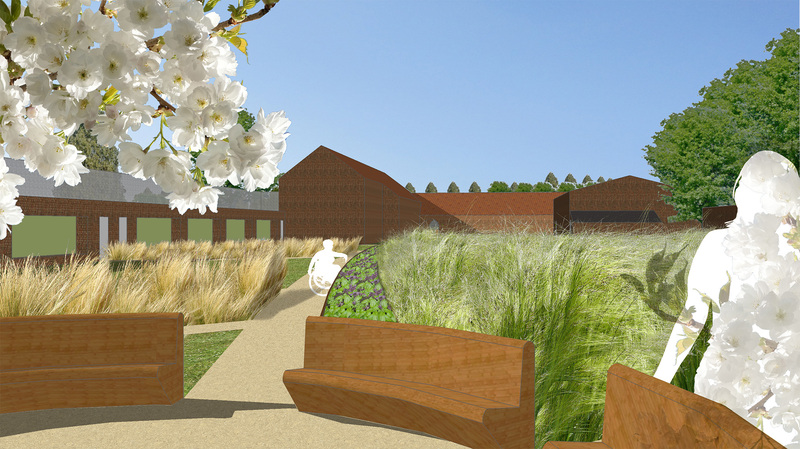 It is the water-beating heart of the estate, that embodies a housing capacity for eight families. 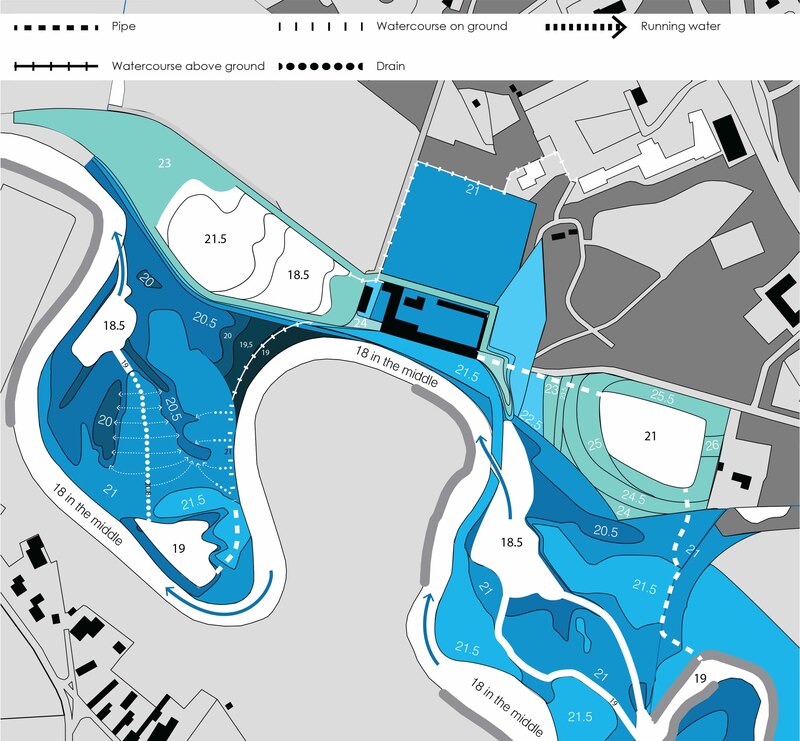 The design shows how the concept of the landscape machine provides a way for landscape architecture to not only exalt people and give them a multifunctional space, but even to be of fundamental importance by safeguarding the design and the surroundings against floods plus providing them with locally produced food, by means of taking pressure of the sewer by the gradual purification of grey water and the collection of rainwater.